Rosoboronexport, part of the Rostec State Corporation, is the organizer of Russia’s single exhibit display at the IDEAS 2018 International Defence Industry Exhibition, which is held from November 27 to 30 in Karachi, Pakistan. Rosoboronexport is showcasing a wide range of capabilities to provide security and counter terrorism and organized crime. The countries of the region are very familiar with the threat of terrorism. Russian enterprises are developing and producing unique means and solutions for detecting and neutralizing both small groups of extremists and fighting numerous highly organized terrorist groups. More than 200 defense products are on display on the Rosoboronexport stand. In the course of IDEAS 2018, the Company is ready to showcase the most advanced security equipment to foreign customers. 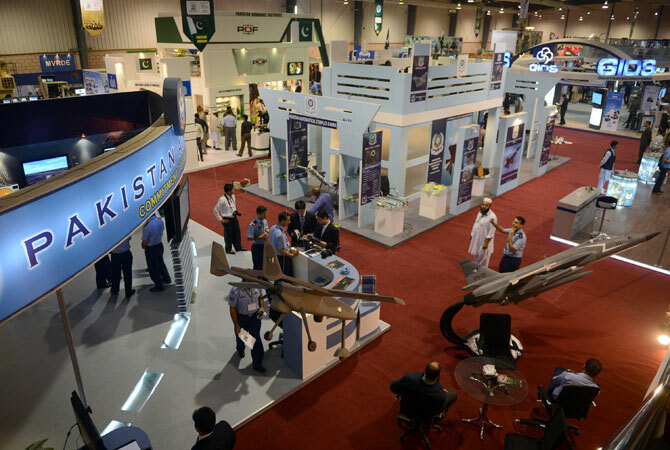 The exhibits include military and service small arms, weapons and special technical means, specialty equipment, special-purpose weapons and gear, non-lethal weapons, border and critical facility surveillance equipment, law enforcement gear. Representatives of partner countries show considerable interest in the ground and air vehicles for transporting anti-terrorist units and their equipment. Countries of the region seek not only to eliminate the consequences of terrorist attacks, but also to acquire capabilities to prevent them effectively. For these purposes, Rosoboronexport is exhibiting a number of means for timely detecting and locating terrorist threats.